At one time or another I’ve harbored boyhood ambitions of becoming a cowboy, an astronaut or, gee, a successful freelance writer. All these years later, I’m still hoping maybe one of those dreams will come true. But this week a brand new ambition has begun to flourish. I want to be a wrongly imprisoned Uighur. It’s pronounced WHEEEE!-ger, a joyful sound that makes it even more appealing. It’s going to be difficult for the duration of this post to not just spell it like it sounds. Just once more -- WHEEEE-ger! Uighurs are members of a downtrodden Turkish ethnic group from China’s Xinjiang province. In the summer of 2001 thousands of them claimed religious persecution and fled their homeland for Afghanistan. A score of them where they were swept up by Pakistani security forces, shackled, hooded, labeled enemy combatants and bundled off of to Guantanamo Bay. Understand, until about four days I ago I didn’t even know such a thing as wrongly imprisoned Uighurs even existed -- and maybe I should harbor an ambition to become a more informed news reader. Sure, I’ve always believed that an unhealthy percentage of our prisoners at Guantanamo didn’t belong there. Some were in the wrong place at the wrong time. Some were ratted out by unscrupulous bounty hunters and others were rounded up with the rest of the usual suspects. And I know this will lead to some to label me a squishy liberal, but I felt bad for them. I’m sure our jails and death rows are full of innocents who got stuck with mopes for attorneys or politically ambitious district attorneys. My wife and I are big fans of the classic 1960s TV show “The Fugitive,” starring David Janssen. Most people are familiar with the story from the 1993 Hollywood remake starring Harrison Ford as Dr. Richard Kimball and Tommy Lee Jones as the obsessed Lt. Philip Gerard. It’s powerful storytelling because its hero is an innocent man who’s been gobbled up in the maw of an indifferent power structure more interested in tidy endings than actual justice. 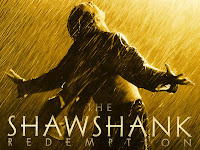 An even more compelling parallel is Tim Robbins as Andy Dufresne in 1994’s “The Shawshank Redemption,” one of my top five all-time favorite movies. The movie closes with Morgan Freeman as Ellis Boyd “Red” Redding, paroled from a life sentence after nearly five decades, seen strolling up the beach to to embrace the escapee Dufresne. I can’t watch that moving scene without thinking, man, I wish I could be there for that party. That’s why I felt such a vicarious thrill when just four of the Uighurs after seven years in Guantanamo were released to, of all places, the tropical paradise of Bermuda (thirteen of their countrymen remain marooned at Guantanamo). Imagine the wonder if all. I try and think of all I’d have missed if you’d have wiped out my life since 2001. Maybe even more important, I’d have missed the daily delights even those of us for whom earning a living is a constant struggle can wring out of this world. No joy. No jokes. Just a longing for liberty. On the upside, I’d have missed the near entirety of George W. Bush’s presidency, so it’s sort of a wash. Going from Guantanamo to Bermuda must be exactly like going from the woes of this world to heaven, albeit a heaven where rastafarian bartenders charge $8 for warm bottles of Red Stripe beer. I can’t help but wonder if this godforsaken world is our Guantanamo. That some day some overseeing authority will liberate all the sick, the poor, the deprived, the heartbroken and those longing for justice from this mortal incarceration to a paradise where all our earthly cares will be forgotten. And I hope all the Red Stripes are part of the all-inclusive.